Researchers randomly assigned 788 patients to receive postoperative chemotherapy or chemoradiotherapy. Perioperative chemotherapy and postoperative chemoradiotherapy are 2 standard strategies for gastric cancer management. The strategies had not, however, been previously compared in a head-to-head clinical study. For the phase 3 CRITICS study (ClinicalTrials.gov Identifier: NCT00407186), researchers randomly assigned 788 patients with gastric or gastroesophageal adenocarcinoma to receive perioperative chemotherapy or preoperative chemotherapy followed by postoperative chemoradiotherapy. After preoperative chemotherapy, 372 (95%) and 369 (93%) patients in the chemotherapy and chemoradiotherapy arm, respectively, proceeded to surgery. After surgery, 233 (59%) and 245 (62%) patients, respectively, continued treatment. After a median follow-up of 61.4 months, the median OS in the chemotherapy arm was 43 months (95% CI, 31-57) compared with 37 months (95% CI, 30-48) in the chemoradiotherapy arm (hazard ratio [HR], 1.01; 95% CI, 0.84-1.22; P = .90). 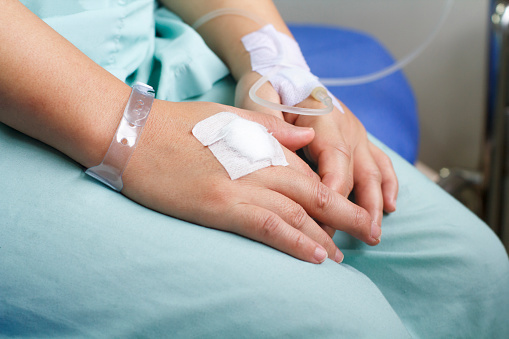 There were 368 (47%) and 130 (17%) reports of grade 3 and 4 adverse events (AEs), respectively, in the entire study population after preoperative chemotherapy. 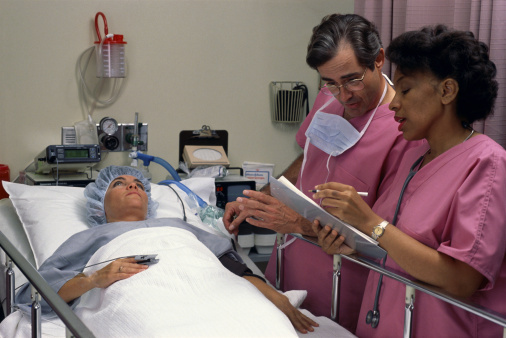 Thirteen (2%) patients died after preoperative therapy; causes of death included diarrhea, dihydropyrimidine deficiency, sudden death, cardiovascular events, and functional bowel obstruction. During postoperative therapy, 113 (48%) grade 3 and 22 (9%) grade 4 AEs were observed in the chemotherapy group, and 101 (41%) grade 3 and 10 (4%) grade 4 AEs were observed in the chemoradiotherapy group. Febrile neutropenia occurred in 79 (34%) vs 11 (4%) patients in the chemotherapy vs chemoradiotherapy group, respectively. There were no deaths during postoperative treatment.